LOS ANGELES, CA (JANUARY 11, 2011) - Michael G. Wilson and Barbara Broccoli of EON Productions, together with Gary Barber and Roger Birnbaum, Co-Chairmen and Chief Executive Officers of Metro-Goldwyn-Mayer Inc., today announced that the 23rd James Bond film will commence production in late 2011 for a worldwide release on November 9, 2012. EON Productions Limited and Danjaq LLC are wholly owned and controlled by the Broccoli/Wilson family. Danjaq is the US based company that co-owns, with MGM, the copyright in the existing James Bond films and controls the right to produce future James Bond films as well as all worldwide merchandising. EON Productions, an affiliate of Danjaq, is the UK based production company which makes the James Bond films The 007 franchise is the longest running in film history with twenty-two films produced since 1962. Michael G Wilson and Barbara Broccoli took over the franchise from Albert R 'Cubby' Broccoli in 1995 and have produced some of the most successful Bond films ever including CASINO ROYALE and QUANTUM OF SOLACE. Last month, after a very long and public process, Metro-Goldwyn-Mayer confirmed that federal bankruptcy court had approved a prepackaged bankruptcy plan, allowing it to exchange its debt for control and working capital, putting films such as the 23rd James Bond movie and "The Hobbit" back on the table for MGM. "MGM is emerging from one of the most challenging periods of its storied history. We are honored and inspired at the opportunity of leading one of Hollywood's most iconic studios into its next generation of unforgettable filmmaking, global television production and distribution, and aggressively pursuing, developing and exploiting new digital entertainment platforms," said Gary Barber and Roger Birnbaum, Co-Chairmen and Chief Executive Officers of MGM. 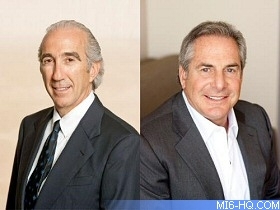 Left: Co-Chairman Chief Executive Officers Gary Barber & Roger Birnbaum. Barber and Birnham of Spyglass Entertainment accepted roles as Chief Executive Officers of MGM in December 2010. Barber attended University of Witwatersrand in South Africa and has a strong financial background, having successfully steered Spyglass in its production and finance of "Memoirs of a Geisha", "The Sixth Sense", "Star Trek" and recently, "The Tourist". Roger Birnham has a long history in the film industry. Co-founder of Caravan Pictures and previously the President of Worldwide Production and Executive Vice President of Twentieth Century Fox, Birnham is also a member of the American Film Institute Board of Trustees. 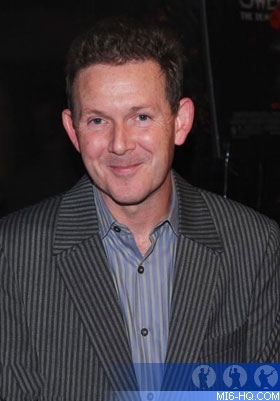 It was also announced today that American screenwriter John Logan would be joining James Bond's regular scribes, Neal Purvis and Robert Wade in co-writing the script for the new James Bond movie. Logan is the 49 year-old screenwriter behind the successful Broadway and West End production "Red", which earned six Tony Awards. In 2003 the writer penned the story and screenplay for Tom Cruise's "The Last Samurai" and writer was also partly responsible for the Academy Award winning "Gladiator" (2000), co-writing with David Franzoni and William Nicholson. According to Deadline, a respected industry blog, the producers of the 23rd James Bond film have twice attended the West End production "Deathtrap", in which acclaimed Shakespearean actor Simon Russell Beale is currently starring. This news lends credence to the rumour that Beale might be in the running for a 'good guy' role in Bond 23. Right: Newly announced Bond 23 screenwriter John Logan. The press release also confirms long-running rumours that Sam Mendes would be directing Bond 23. Whilst it was never confirmed by the Producers of the James Bond films, or MGM, it was understood by industry experts that Mendes was in the running to direct the film, but had signed on to the production as a consultant to avoid a payment trigger from the bankrupt MGM. Last month, the director's ex-wife Kate Winslet gave scoop to UK tabloids that she and her children would be moving to England in order for the children to be closer to their father as he worked on James Bond 23. 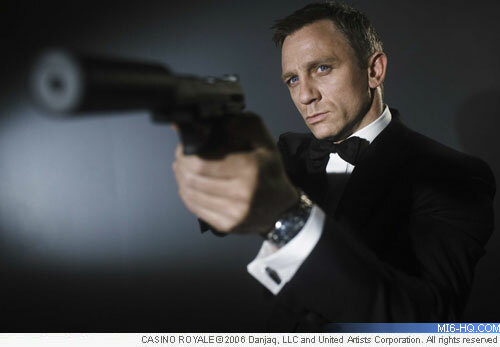 2012 marks the 50th anniversary of the EON Productions series of James Bond films. Now that Daniel Craig's involvement is confirmed, it will be the longest gap between Bond movies without a change in the lead role. 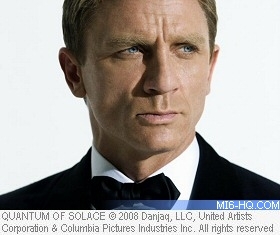 With both the "Batman" and "Spider-Man" franchises dueling it out at the 2012 summer box-office, MI6 previously predicted that there would be little chance of Bond 23 being released earlier than Autumn 2012. The release schedule around the holiday season in 2012 is light, with the only two major releases ("Monsters, Inc. 2" and "The Twilight Saga: Breaking Dawn Part II") penciled in for November 2012.